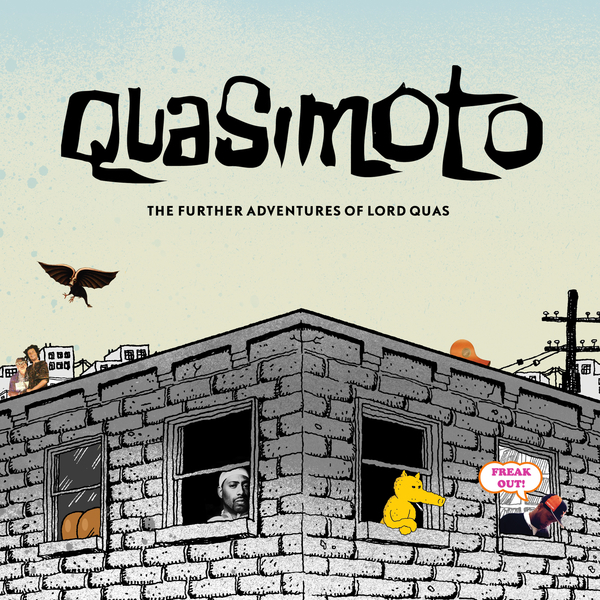 After much rumour and bluster ikkl Quasimoto returns. Of course we know the real deal here (Humpty Hump from Digital Underground for example) what's not known is how much helium was consumed and how much Egon and Wolf had to advance Madlib for this most crazy of hip hop demands. I mosdef digress. The first thing that will shock you (well maybe not) is the crazy amount of stuff on this album, 27 tracks (and double that for all the skits) anyone who dare dismiss this (as if) on first listen is the bullshitter el supremo. So subjects jivetalk-rapped about include them broad behinded damn ho's, the delights of smoking trees and slurping the cold beer and their deep deep love of old funk, jazz and classic hip hop (big up the name drop for Lon's sick 'Sound Of The Zeekers'), plus nuff obscure tangents. Very cut 'n paste, in fact it's only at track eight the unreal 'Closer' with M.F. Doom until you get a good couple of minutes of unbroken beat flow (please someone put me out of my misery and tell me the sample on this track, i'm getting old and my memories not what it used to be). Another sick roller is 'The Exclusive' feat M.E.D. Plus is it me or does the 'Bartender Says' sample sound like the old theme to 'Wish You Were Here', how weird is that. 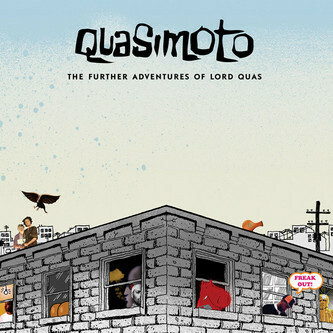 In the distant future no one will have a clue what this album is about and that's what adds to it's charm though of course y'all know that 'The Unseen' is an outright classic that took it's time to be fully digested and we pretty much have the same here, with skunked out hip hop knobs on. Ahem, cough, buy!! !